Goyard opened its doors back in 1853 (yes, it’s older than Louis Vuitton by a year), establishing itself as a maker of all things trunks from the get-go. From the small and compact that carried champagne and circular boxes made for hats to even large ones that housed entire wardrobes, Goyard has done it all. And while the Parsian label has since evolved to include fashionable bags made for the everyday individual (think Belvedere, Saigon and Saint Louis, just to name a few) it is also introducing small bags that pay homage to its past. There was the Minaudière Clutch released earlier in January that’s essentially a miniaturised trunk box carried like a chic clutch. Six months later, an all-new piece joins the family, another miniature in the shape of a hat box known as the Alto Hatbox Bag. No, it won’t fit any hat, but it should hold a mobile phone (definitely the smaller makes), makeup essentials, as well as a cardholder or compact wallet tucked neatly within the structured body that’s covered with Goyardine and trimmed with leather. Carry it one of two ways, via the top handle or sling on its detachable leather strap for that across-the-body or over-the-shoulder look. Individually dated, numbered and signed with the initials of the craftsman who completed the bag from start to finish, this is also what makes the bag so special, and one that no true fan of Goyard should be without. Available in a single size, it will come in 4 colours, with the Black/Tan one priced at SGD7480 in Singapore. 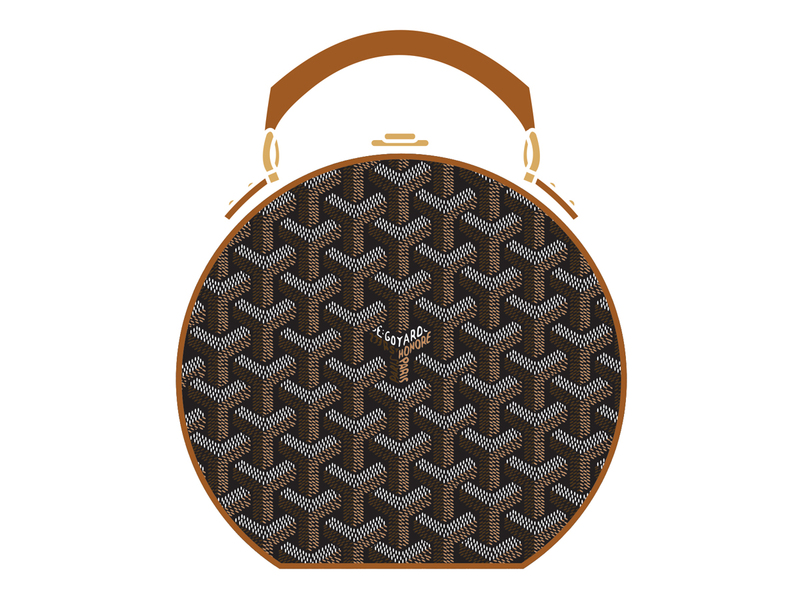 Where can I buy the Goyard Alto bag? It should already be available for sale at your local Goyard store. If not, you can always email Goyard Paris for an order.